Glorious flowers with exceptionally large 3" blooms dazzle in yellow. 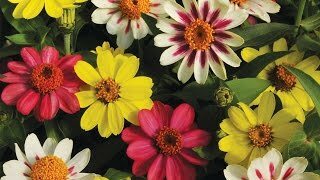 A mingling crowd of colorful blooms is a sure attraction in the border or container. Summer-long bloomer’s highly branched 12" plants are trouble-free: thriving in heat, damp and dry conditions. Requires no deadheading, does not set seed.